“All work and no play makes Jack a dull boy. It can also make you tired, depressed and affect your physical health. This book is a great gift for anyone you know that is a workaholic. A Vacation is what the doctor orders to cure your stress. Learn about the 10 health healing lessons that your body requires and your family will love you for knowing. I like the larger print and wide margins so I can make notes and back later to review. I see how this book can improve my companies overall sales by 20% by just making sure they take all their allotted vacation time. 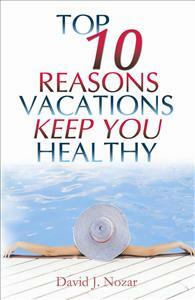 This book is the business owners handbook for developing a vacation policy.